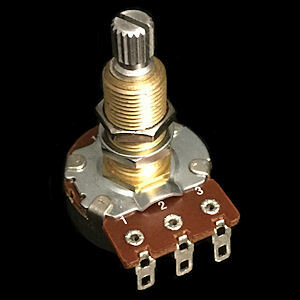 These are the original Bourns Control Pots with "Low Friction" Split Shafts & Brass Threading. Thisis the "Long Shaft" version needed for thicker top guitars such as a Gibson Les Paul. Each includes a Washer and 2 Nuts for mounting. Sold Individually.